Being in business for the past few years you have been facing some real challenges, which are getting more complicated by each passing day. Shortage of funds has disrupted the smooth flow of your business; and all of this has occurred because of payments due from customers. The outstanding debts from customers can be realized once you take necessary steps that would neither hurt the sentiments of the former, nor affect your business from the financial point of view. Once they start paying, your firm will begin to regain its financial strength. Debt collection programs are set to benefit the creditors and debtors to find an efficient solution to realize balance. Cash flow problems can land you up in the middle of a storm; this way you end up piling up your bills and problems with suppliers are likely to arise in the way. Such times call for immediate help, which is feasible if you start taking the right steps at a right time. Here are some debt collection methods to help you attain a smooth flow helping you survive and grow your business. 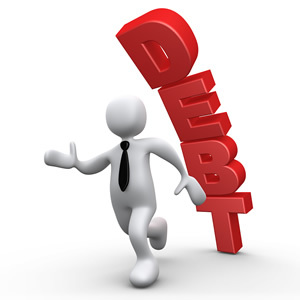 Most of the times debtors fail to repay the amount within due date. In such cases it is important to include payment terms in the invoice; this is done just to ensure that the customer or to be specific the debtor returns the amount by complying with the terms and conditions stated in the invoice. Debt collection programs have facilitated creditors to think wise. In some cases companies allow a grace period of 30-60 days for completion of the payment; but it is better if you lessen the grace period to a span of 14 or 21 days. On amending the payment terms you are likely to receive the amount at an earlier date. If conditions are strict, then the customer is likely to abide by the rules set by the lender. Debt collection programs are designed by the state where it also states that in case the debtor fails to repay the unpaid amount, then the lender has the right to hire collection services to realize the money. As a businessman if your customer has failed to repay the amount the amount then it is your duty to encourage him pay his dues within the stipulated time as permitted to him by you. Make sure that the language used in the letter you send to the debtor doesn’t hurt the latter’s sentiments or doesn’t trigger fear in him. Any threatening language should be avoided at once. As per the laws set by the Fair Debt collection Practices Act, the debtor also enjoys protection to some extent. If there is no more techniques left to encourage payments by the debtor, then it is time you seek help from debt collection agencies. It’s quite an obvious approach when all the possible sources of finance have been exhausting and the debtor is turning a deaf ear on your pleas. There is several debt collection programs set by the Federal Government, and the creditor has to abide by the rules set by the authority. By trying to collect debt with amateurish techniques, you can not only fail at retrieving debt, but do lots of harm to your business reputation as well. These are really useful and effective debt collection techniques.